The FBI is investigating a Missouri police officer’s use of a stun gun to subdue a 17-year-old during a traffic stop. The Associated Press reports that the stun gun left Bryce Masters in critical condition. 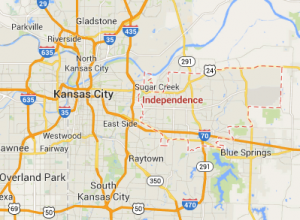 The incident happened in the suburban Kansas City community of Independence. Police said the officer resorted to using stun gun because the teen was physically resisting. The officer is on administrative leave pending an investigation. Maters’ family was seeking a federal probe. The FBI’s Kansas City field office is handling. Posted: 9/16/14 at 9:07 AM under News Story.